Aria Entertainment and Knockhardy Productions, by arrangement with R&H Theatricals Europe, are bringing RAGS The Musical to London's West End in a brand-new concert version. The concert version of RAGS plays for one night only at the Lyric Theatre on Shaftesbury Avenue. RAGS The Musical opened on Broadway in 1986, receiving 5 Tony Award nominations including Best Score, Best Book and Best Musical. With music written by Charles Strouse (Annie), lyrics by Stephen Schwartz (Wicked), and a book by Joseph Stein (Fiddler on the Roof), West End audiences will experience - for the very first time - this beautiful and powerful musical on stage. 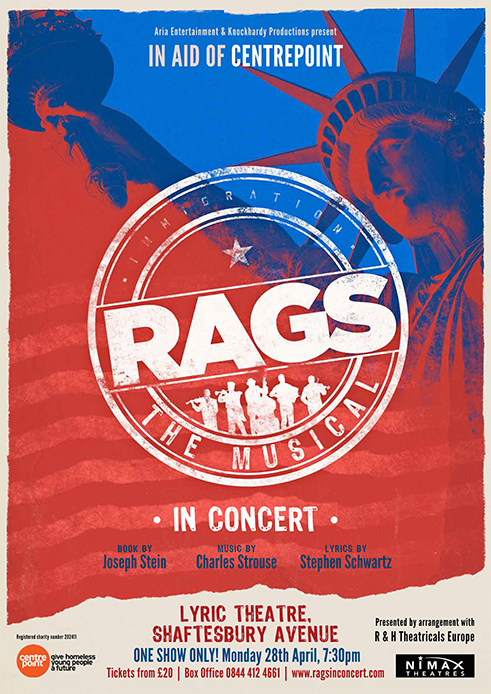 Telling the tale of a group of Jewish immigrants as they arrive to start a new life in America, RAGS The Musical is a story of love, loss and hope. 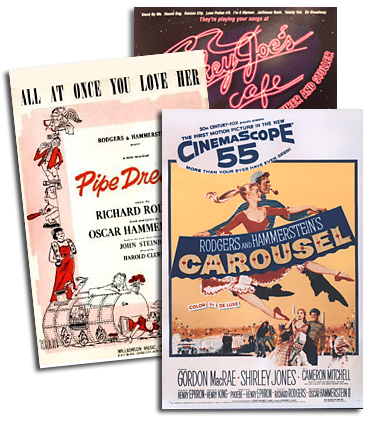 Featuring a score celebrating the multicultural music which was filling the streets on New York in 1910, this concert version features all of the show's major songs, including Children of the Wind, Wanting and Penny A Tune. Raising money for Centrepoint, the UK's leading charity for homeless young people, come and experience RAGS The Musical in concert for the first time, for a night of musical theatre that you will never forget. For more information about Centrepoint, please click here.